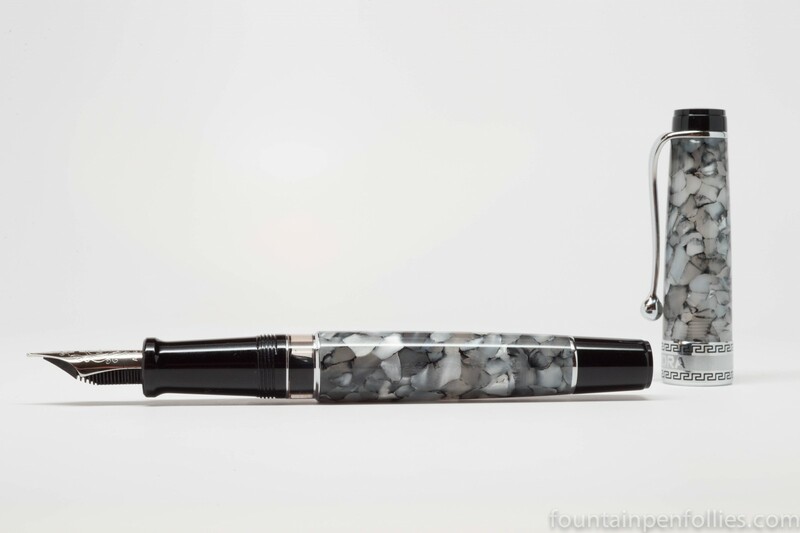 My friend Chris just bought a pen that I also have, and adore: the Aurora Optima in Nero Perla. Don’t look now, but I think that makes us pen twins. I couldn’t resist inking my Nero Perla at the same time. And the Nero Perla is the perfect pen for me right now. After having tested so many colorful inks recently, I was ready for a black ink. The choice was Stipula Ebony Black, a lighter black with nice shading that is one of my favorite black inks. 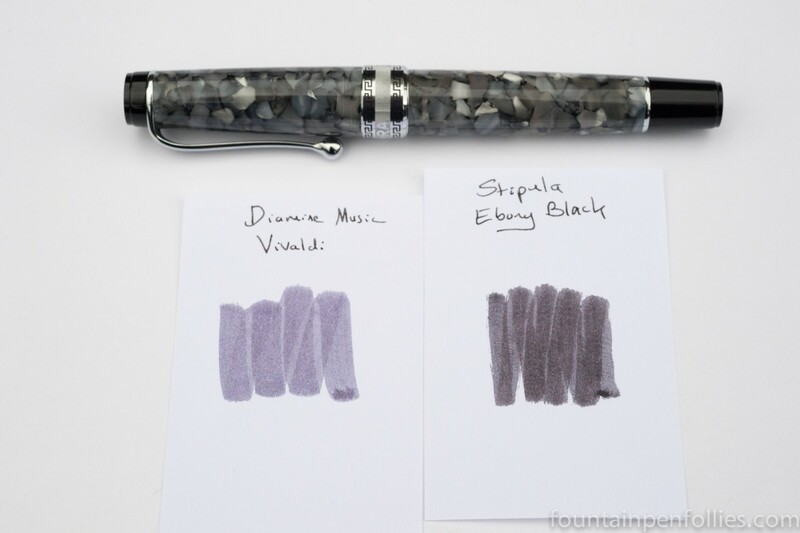 Chris chose Diamine Vivaldi, from the Music Set, which is a great gray purple and an inspired choice. I have a feeling I will shamelessly copy the same combination very soon. Previous Post Parker Quink Blue and Waterman Absolute Brown: Overlooked Inks?